Several players have come forward with abuse allegations against some GCU women's soccer coaches. 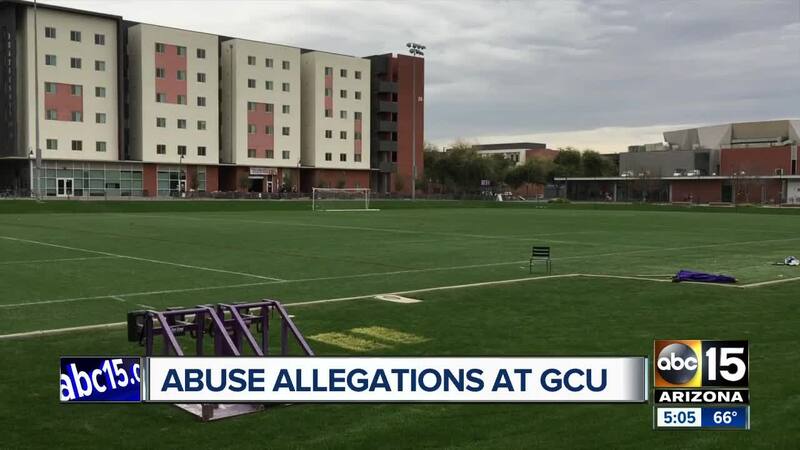 PHOENIX — Some current and former members of Grand Canyon University's women's soccer team are coming forward with allegations of verbal, physical and mental abuse at the hands of the coaching staff. Over a handful of the student athletes are being represented by an attorney, and sent a 37 page letter to the university in November. The letter details accounts of alleged humiliation, ridicule and special treatment towards others while on the field. There are claims of coaches using excessive running as a form of punishment. Players claim they were forced to play, even though they were injured and had been advised not to. "I was forced to play on a sprained MCL," said Fiona Samodurov, a senior at GCU who has been on the team since her freshman year. 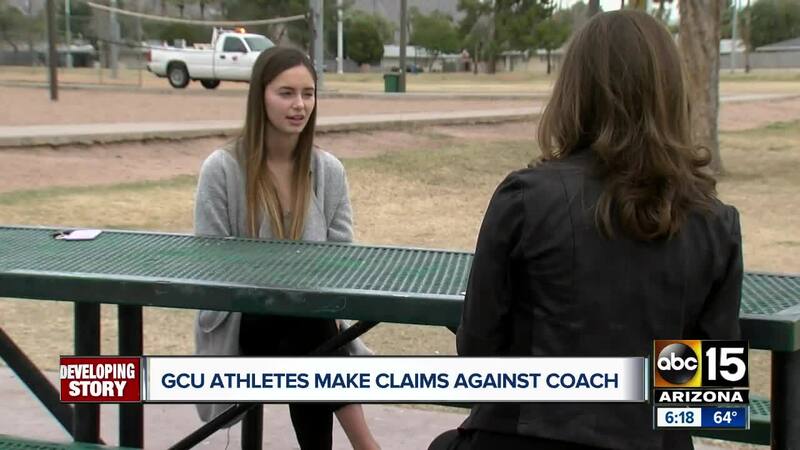 Samodurov tells ABC15 she witnessed coaches specifically targeting players and "fat shaming" them. She says in some instances players were refused water during an entire practice. The players say they believe the coaching staff violated terms outline in the National Collegiate Athletic Association. However, former player McKenzie Cook tells ABC15 she had a much different experience. "I think there was just a lack of communication between our trainers and our coaches," Cook said, when asked about the allegations that players were forced to play while injured. "I definitely don't think there was ever fat shaming," Cook said. "There were definitely girls that were out of shape." Cook says as for using excessive running as a form of punishment, she says that's what college athletics entails. "Every sport I've ever heard of has running as a punishment," Cook said. GCU says an internal investigation was done, but they found nothing that would justify removing staff. To see the university's full statement posted online, CLICK HERE .